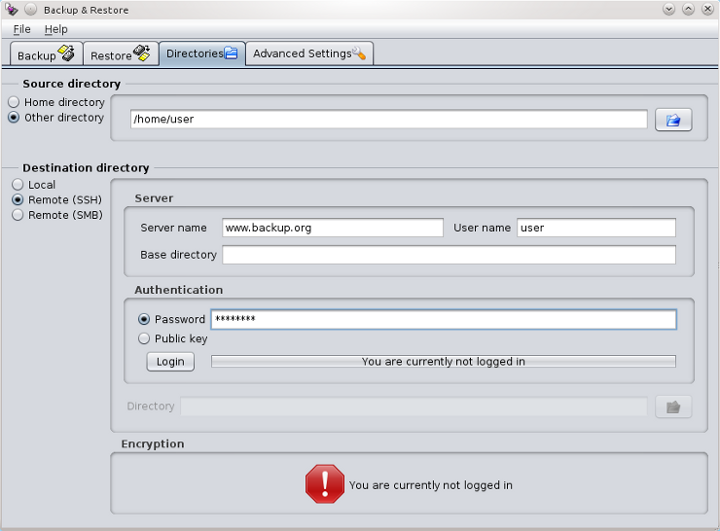 JBackpack is a personal backup program. It features incremental backups, network transparency and encryption. JBackpack uses rdiff-backup for all backup and restore functions, SSHFS and SMB to access remote file systems and EncFS to encrypt backup destination directories. JBackpack runs on the GNU/Linux operating system, Mac OS X (10.5 or newer) and Windows. 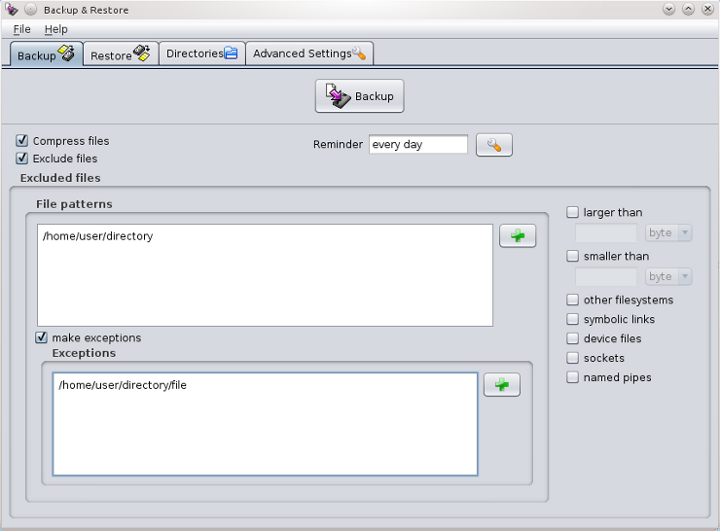 JBackpack uses rdiff-backup for all backup and restore functions. 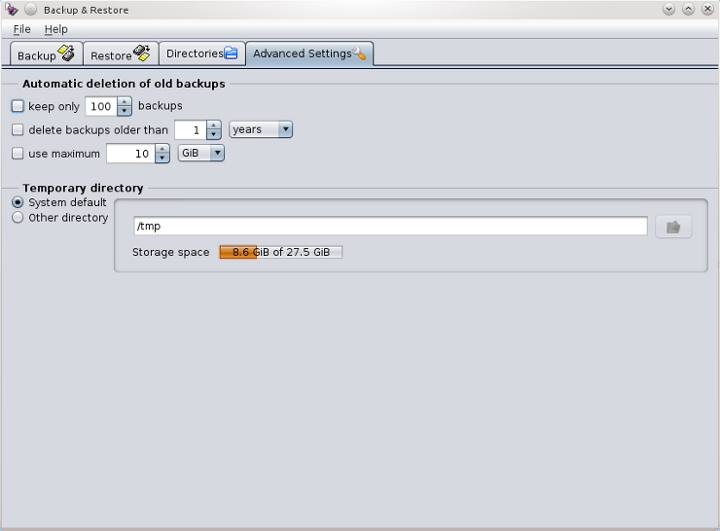 The most interesting feature of rdiff-backup is incremental backups.An incremental backup is a backup method in which multiple backups are kept (not just the last one).Each original piece of backed up information is stored only once, and then successive backups contain only the information that changed since a previous backup. This way it becomes possible to restore changed or deleted files, even when several backups have been run since changing or deleting these files. JBackpack offers a build-in increment browser. This makes the file selection before restoring very easy.JBackpack uses SSHFS and SMB to access remote file systems. This way it is possible to store backups on remote systems. This increases the availability of the backups in case of a local system failure but slows down the backup process because the available bandwidth for remote file systems tends to be much smaller than the available bandwidth for local file systems. JBackpack uses EncFS to encrypt backup destination directories.Encryption provides confidentiality but also slows down backup and restore. You can download deb package from here .once you have deb package you can double click on it to install this package.